The “Windy City” got its name from a derived French translation of the Native American word “shikaakwa,” translated by some as “wild leek,” “wild garlic” or “wild onion.” Today the city hosts more than 2.7 million residents, with almost 50 million domestic and abroad visitors passing through each year. As a result, it is the third largest city in the U.S. and the biggest city on Lake Michigan in Illinois and the Midwest. That is why we wanted to make a selection of the best places to visit in Chicago. We are sure that these attractions will be to the liking of many. Originally opened in 1916 as an amusement area, as well as for shipping facilities, The Navy Pier is nowadays regarded as one of the best free places to visit in Chicago. It is made of 50 acres of gardens, shops, restaurants and concert venues. The 150 feet Ferris Wheel and carousel are now seen as important city landmarks. It also hosts a six-story botanical garden spread on one acre and the Chicago Children’s Museum. 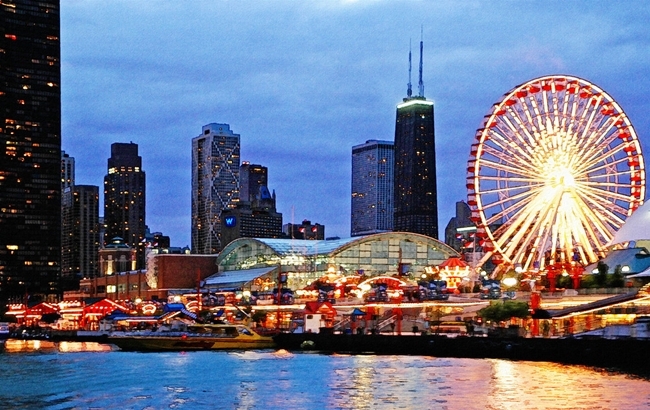 Each year the Piers hosts the Chicago Festival in August. If you like a bit more adventure, cruise ships depart from there on various sightseeing trips. Surely one of the best places to visit near Chicago! The Pier’s address is 600 East Grand Avenue, Chicago. If you prefer cultural activities more, rest assured, you can watch classic plays performed at the Chicago Shakespeare Theater. We believe that it is one of the top places to visit in the city of Chicago for its history and musicals that are put on stage. It is indeed a place for more refined activities. Its performance venues and box office are located at 800 East Grand Avenue, Chicago. Another museum but this time dedicated to the application of natural laws in technological and industrial development, the Museum of Science and Industry was founded in 1933. Its spectacular architectural style will impress many without even having to go inside. Once inside you can interact with “hands-on” exhibits, the first of its kind. It also features an OMNIMAX theater. It is located at the north end Jackson Park, 5700 South Lakeshore Drive, Chicago. One of the most attractive and popular boulevards in the United States of America, the Magnificent Mile near downtown Chicago hosts many galleries, boutiques, and luxury shops. So if you feel like sightseeing or maybe doing some shopping in the city, this is the place to go. Located in downtown Chicago, the Millennium Park hosts the Jay Pritzker Pavilion, the Crown Fountain, Lurie Garden and the Cloud Gate sculpture situated on the AT&T Plaza. This 25-acre landscape, known as the Premier Green Space of Chicago, is one of the main attractions in the city and the second most popular destination in the entire state. Millennium Park is located on 201 East Randolph Street, Chicago. A world class museum with hundreds of artworks, this location will be on soothing of many art aficionados. The complex measures 400.000 square feet and hosts a vast array of paintings, prints, photographies, sculptures, decorative arts, textiles, architectural drawings and more. Among some of the most renowned painters exhibited, there are George Seurat and Jean Claude Monet. Its location is on 111 South Michigan Avenue, Chicago. Once holding the title of “The World’s Tallest Building” since its inauguration in 1974 until 1996, when the Petronas Towers were built in Kuala Lumpur. This is not the only reason this skyscraper landed a spot on our list. The office building provides an impressive hawk eye view over the city, and on a clear day, it is possible for visitors to get a spectacular view over up to four states straight from the Willis Tower (formerly Sears Tower). Today, SkyDeck Chicago remains to be the highest observation deck in the U.S and the tallest building in the western hemisphere. For that, it is one of the most iconic and popular tourist attractions in the city. The address is 233 South Wacker Drive, Chicago. 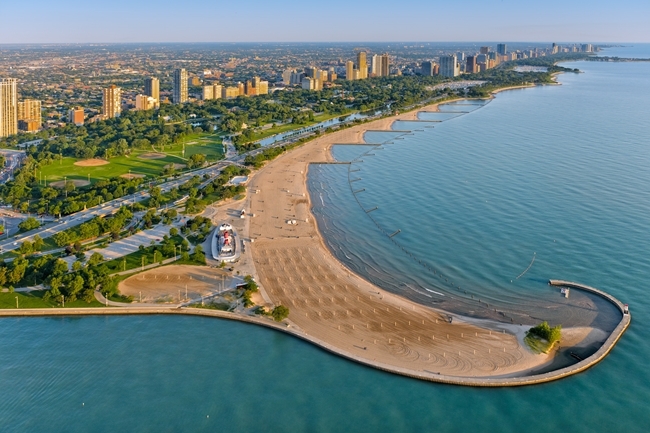 Chicago’s largest park stretching on 6 miles along the edge of Lake Michigan is one of those must-visit places in Chicago. It houses the Lincoln Park Conservatory, Lincoln Park Zoo, Peggy Notebaert Nature Museum and the Chicago History Museum. It also contains numerous playing fields, beaches, and some public art pieces. Definitely, a place to visit in Chicago. Wish to see where Prohibition Era gangsters such as Al Capone used to spend their time? 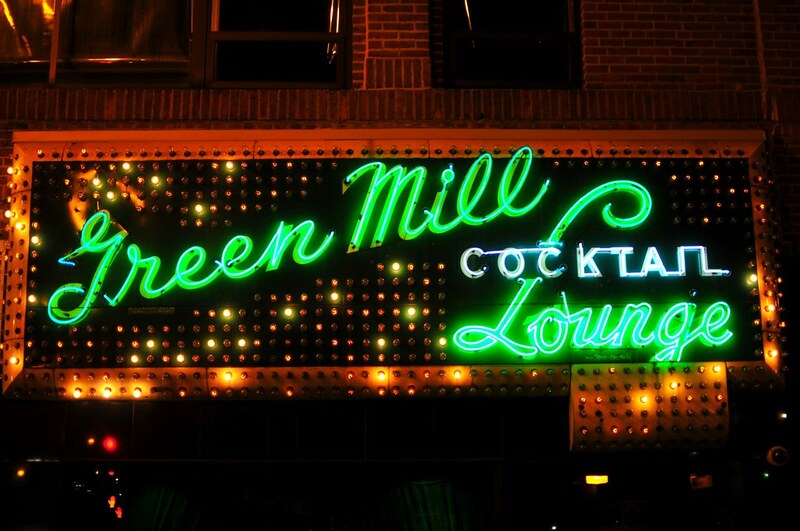 Then, visit the Green Mill Cocktail Lounge. 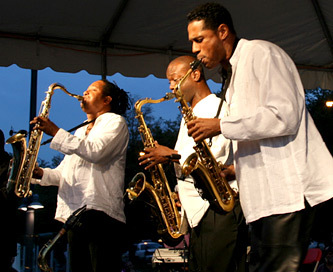 If you have an ear for jazz music, we guarantee an entertaining experience! This is one of our favorite places to visit in Chicago. 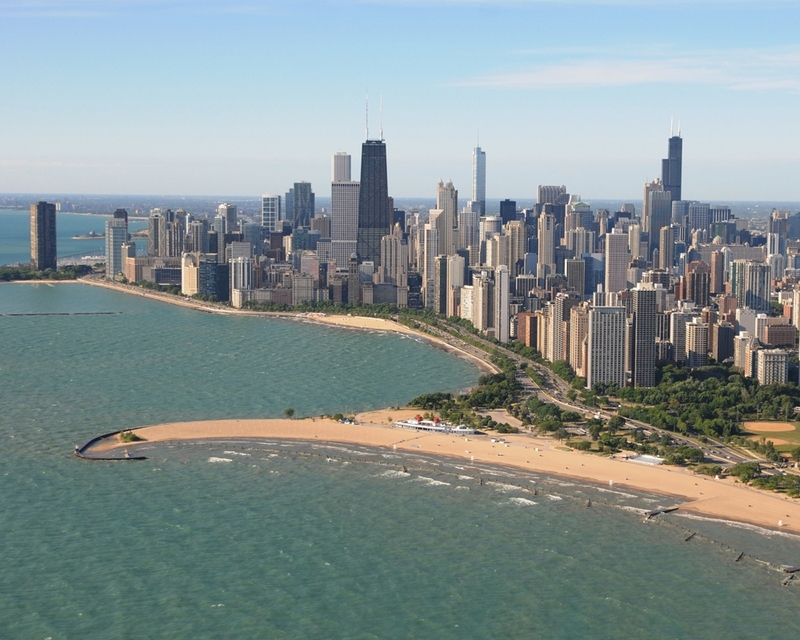 One of the top spots to visit around Chicago, the North Avenue Beach offers a vast array of entertainment means. You can either hit the volleyball courts, rent a bike, grab a bite to eat or take a dip in Lake Michigan. The address is 1600 N Lake Shore Dr, Chicago. These places may not have ended up in our top ten list, but that doesn’t make these tourist attractions any less enjoyable. In fact, we’ve decided to dedicate an entire section for them because we feel that they are also worth visiting. Check out our runner-ups for the best places to go in the windy city of Chicago. Although visitors of Navy Pier will most likely come across this museum, we chose to cover it separately to highlight it even more. 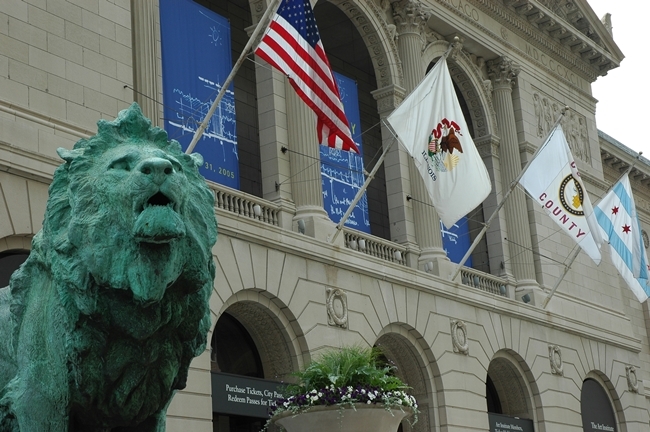 The landmark was originally established by the Junior League of Chicago in 1982 and was initially a response to the ongoing program cutbacks in the city’s Public Schools. Today, it is regarded as one of the best cultural attractions in the city and the second most visited children’s museum in the whole country. It offers not just one, but three attractions. If you’re one who appreciates a good astronomy and astrophysics display, then drop by Adler Planetarium. The museum holds various shows, exhibits, and events that can be enjoyed by visitors of all ages. 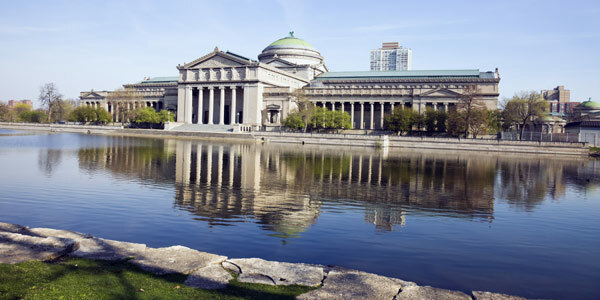 The Field Museum proudly owns the title of being one of the largest natural history museums in the world. It houses various exhibitions that include the Animal Halls, Evolving Planet, The Ancient Americas, Underground Adventure, and the famous Sue the Tyrannosaurus Rex among others. This attraction is another world-title holder. Considered as one of the largest indoor aquariums in the world, it is able to house more than 32,000 aquatic animals. Some of its highlights include the Abbott Oceanarium, Polar Play Zone, Wild Reef, and Caribbean Reef. Although we have covered this attraction in our top ten list, it’s still worth mentioning in this section for the mere fact that it is part of Grant Park. The institute was established in 1879 and is currently one of the oldest and largest museums in the U.S., housing more than three hundred thousand artworks. The highlights in the museum include the Impressionist and Post-Impressionist paintings, European paintings and sculptures, Asian Collection, American Art, and Modern Art which covers contemporary art, photography, and architecture among others. The Lakefront Trail is an 18-mile long stretch located in the west side of Lake Michigan. Joggers and cyclists alike flock to this area. However, there’s more to see on this trail. There’s the South Shore Cultural Center, Soldier Field, McCormick Place, Museum Campus, and some of our favorites–the Navy Pier, Museum of Science and Industry, and Lincoln Park. A 385-acre landscape housing 27 gardens and 4 natural areas. Since it opened more than 40 years ago, the Chicago Botanic Garden has continued to amaze its visitors with its fascinating flora and exciting events for tourists of all ages. One of the largest botanical conservatories in the U.S., the Garfield Conservatory is popularly known for the moniker “landscape art under glass.” The conservatory houses eight indoor gardens with featuring different plant species from all over the world. This is another landmark in Chicago that’s worth paying a visit. It is particularly appealing for those who appreciate art exhibits, unique architecture, classical music, and culture in general. If you’re a baseball fan, then you must be familiar with the Wrigley Field. Fans and curious visitors can tour around the field and even get the chance to sign the Wrigley Field wall. If you want to go shopping, the Water Tower Place on Magnificent Mile has it all for you. From over 100 stores, restaurants, and a variety of entertainment options, you will surely be satisfied during your visit. Don’t forget to try the delicious Chicago style deep-dish pizza at Giordano’s. Located in the suburb of Chicago, the Brookfield Zoo is home to around 450 species of animals such as bears, big cats, penguins, Zebras, and Giraffes among others. Some of the activities in the zoo include the Hamill Family Wild Encounters and Hamill Family Play Zoo, Dolphins in Action, the new Arachnids exhibit, and a 3D theater. This community is where you’ll find the tallest structures in the city. Some of the major highlights in this area include the Art Institute of Chicago, Cloud Gate, Grant Park, and the Museum of Contemporary Photography, among others. If you’re planning to visit these attractions, you can stay at the Hyatt Regency Chicago or the Wyndham Grand Chicago Riverfront where you can get a breathtaking view of the Chicago River. The River North is a gallery district. Hence, this is where you’ll find most of the country’s art galleries. Aside from those, the Navy Pier, Chicago Children’s Museum, Tribune Tower, The Richard H. Driehaus Museum, and other popular attractions are also located in the area. Some of the best accommodations here include the Godfrey Hotel Chicago, Hilton Garden Inn Chicago Downtown/Magnificent Mile, and the Hyatt Place Chicago River North. Interested to discover more about the “Windy City”? Let’s cover a few interesting facts about it! The city was founded on the 12th of August, 1833. Its size is of 227 square miles. Robert de LaSalle coined the term “Checagou” in 1679, in his memoirs. It was formerly inhabited by Native American tribes like the Potawatomi, Miami, Sauk, and Fox. Non-indigenous people arrived there in the 1780s, led by Jean Baptiste Point du Sable. Chigaco was the main theater of operations for Prohibition Era gangsters such as Al Capone, Bugs Moran, Tony Accardo, and Dion O’Banion. The city hosted the world’s first controlled nuclear reaction testing site at the University of Chicago. This was accomplished by physicist Enrico Fermi and his team on December 2, 1942. Also known as the “Jazz Capital of the World”, after the focal point shifts voted from New Orleans in the early 1920s. The “Windy City” is regarded as the birthplace of improvisational comedy and improvisational theater. It is also the birthplace of house music and a site for many influential hip-hop artists. In the 1980s, it was a center for industrial, punk and new wave music. Strong figurative surrealism style was made visible through the works of Ivan Albright and Ed Paschke. Home to the Chicago Cubs, Chicago White Sox, Chicago Bears and Chicago Bulls. This brings to an end our top selection of the best places to visit in Chicago. We hope that they will bring much delight and joy to you as it did to us. Have fun exploring Chicago! Photo Credits: Proposal-idea.com, Desichicago.com, ChicagoTraveler.com, Flickr.com, Crysis.cs.umn.edu.